OHS is expecting! Every year, more than 900 kittens and 200 puppies that aren’t quite ready for adoption arrive at OHS. These kittens and puppies are placed into foster care where they receive essential care and are given time to grow. 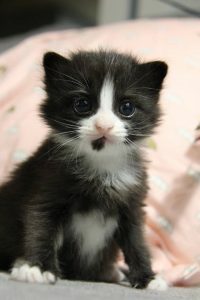 OHS is asking for your help to give these baby animals the proper supplies to help them grow and thrive. You can send items directly to OHS via our Amazon wish list. You can also pick up items at your favorite pet store and bring them to these locations to the Oregon Humane Society.